University of Illinois physics professor Taekjip Ha and his colleagues discovered how a DNA-repair protein matches up a broken DNA strand with an intact region of double-stranded DNA. CHAMPAIGN, lll. - Every time a human or bacterial cell divides it first must copy its DNA. Specialized proteins unzip the intertwined DNA strands while others follow and build new strands, using the originals as templates. Whenever these proteins encounter a break - and there are many - they stop and retreat, allowing a new cast of molecular players to enter the scene. VIEW the RecA protein at work. Scientists have long sought to understand how one of these players, a repair protein known as RecA in bacterial cells, helps broken DNA find a way to bridge the gap. They knew that RecA guided a broken DNA strand to a matching sequence on an adjoining bit of double-stranded DNA, but they didn't know how. In a new study, researchers report they have identified how the RecA protein does its job. "The puzzle for scientists has been: How does the damaged DNA look for and find its partner, the matching DNA, so that it can repair itself?" 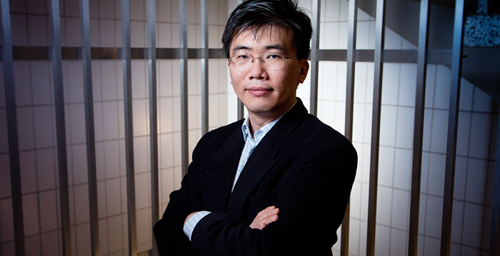 said University of Illinois physics professor Taekjip Ha, who led the study. "Because the genomic DNA is millions of bases long, this task is much like finding a needle in a haystack. We found the answer to how the cell does this so quickly." The research is described in a paper in eLife, a new open-access journal supported by the Howard Hughes Medical Institute (HHMI), the Max Planck Society and the Wellcome Trust. Ha is an HHMI investigator. The National Science Foundation provided primary funding for this work. DNA repair is vital to health, vitality and longevity. Disruptions of the process can lead to the early onset of diseases associated with aging or cancer in animals. The breast cancer mutation known as BRCA2, for example, disrupts a gene involved in loading Rad51 (the human equivalent of RecA) onto a broken DNA strand to begin the process of repair. "If a break in DNA occurs, you have to repair it," Ha said. "We wanted to know how RecA helps the DNA find a sequence complementary to it in the sea of genomic DNA, and how it does it so quickly." To answer this question, the researchers made use of fluorescence resonance energy transfer (FRET) to observe in real time the interaction of the RecA protein and the DNA. FRET uses fluorescent molecules whose signals vary in intensity depending on their proximity to one another. By labeling a single DNA strand bound by RecA and putting a different fluorescent label on a stretch of double-stranded DNA, the researchers could see how the molecules interacted with one another. The team determined that RecA that is bound to a broken, single-stranded DNA molecule actually slides back and forth along the double-stranded DNA molecule searching for a match. The discovery explains how DNA repair can occur so quickly, Ha said. "We did a calculation that found that without this kind of process that we discovered, then DNA repair would be 200 times slower," he said. "So your DNA would not be repaired quickly and damage would accumulate, possibly leading to serious diseases." The research team included graduate students Kaushik Ragunathan and Cheng Liu. Ha is an affiliate of the Institute for Genomic Biology and a co-director of the NSF Center for the Physics of Living Cells at Illinois. Editor's note: To reach Taekjip Ha, call 217-265-0717; email tjha@illinois.edu. 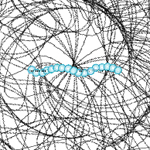 The paper, “RecA Filament Sliding on DNA Facilitates Homology Search,” is available online.